We were so lucky to have found Homeland Bulldogs and their Frenchies. They are some of the most amazing people and you can tell they really love their 4 legged kids and love what they do. We immediately felt like a part of the family. 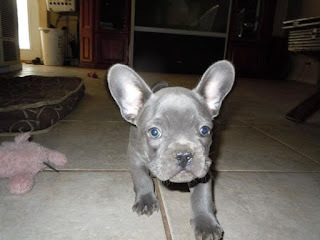 When we found Theo (our now extremely spoiled frenchie child) we were welcomed in as if they had known us for years, and since Theo was our first ever Frenchie baby, Morgan gave us everything we needed to know to help us through it. When we went to visit our pup for the first time we were taken aback by how amazing their home was, and they were in the middle of building a whole new kennel facility. We knew then that this was meant to be. To this day we cannot tell you how grateful we are for finding Morgan and for everything they have done. We are so in love with our baby Theo Thanks so much Morgan. We just wanted to let you know how completely thrilled we are with Yoda. Our kids were so excited-they cried & so did I! He was awesome last night. Not a peep out of him until my alarm went off this morning, which it’s set to a dog bark tone. That sparked him off & he let out a couple of barks. So precious! We just got home from the vet & he is so healthy, perfect little gentleman. He weighed 7.8 lbs. The vet said he was adorable- great choice for us. Thank you so much! It’s been a long time coming for us to make the leap & buy another dog. We all are very happy & so thrilled we came to you. To say the least, he was the talk of town at the vet’s office! I’ll send some pictures to you when I get them loaded on my laptop. It has been such a joy having Ela, who is now Wonwon II, in our family since 2008. He has grown up from a shy puppy to an adult with such a beautiful temperament and personality. Wonwon loves keeping our grandmother company at home, as well as playing along rambunctiously with the younger members of the family. He gets along well with other dogs and has the utmost patience and enthusiasm when dealing with guests and new friends. He is a bit of a homebody, but also enjoys walks through the parks in our neighborhood, especially during the fall with all the nice foliage on the east coast. He's had the chance to visit Annie, the daughter in the family, at her apartment in NYC where he got a chance to enjoy the big city lifestyle. Annie took Wonwon to the large dog parks in the area where he had a great time socializing with other canines in the area. He even got a chance to have a pastrami sandwich from the famous deli Carnegies. We thank-you Homeland Bulldogs for giving us this wonderful creature that we have all grown to love and care for. Hi Jason, I'm sorry we haven't updated you sooner. Bodhi (formerly Jack) is doing wonderfully. He is the most loving little boy ever. Everyone that meets him, falls in love. He makes us laugh and smile all the time. He is growing so fast, but still sits in my lap! He has no idea that he is so big. He is scared of every thing and chews up everything in sight! But we could not love him more. We still stalk your puppies. Greg still tries to buy another one! I know we will always get our dogs from you. I thought I would send you a picture of the big baby. Feel free to share it (we may be partial, but think he is the BEST one ever). "Dear dad and mom, please don't worry about us. Our new mom is loving us and feeding us and we are having a great time........ "
Thought I would send you an updated photo of Trucker (a.k.a. Theodore DOB 5/22/08). Our experience with purchasing him from you guys was outstanding. I’m not sure if you remember the story. My husband wanted a traveling buddy as he was a truck driver at the time. We found Trucker on your website. We made all the arrangements over the phone and arranged for my husband to pick him up. Jason you met my husband in a Wal-Mart parking lot! (Probably the only time you delivered a puppy to a big rig)! Trucker then went all over the United States! From the East coast to the West coast. But after the 2nd time home, he knew where he wanted to be (despite being a babe magnet.. All the girls loved him)… Right at home with me… This traveling thing and truck stop food wasn’t good enough! He loves his bed, his home cooked food and playing with the other 3 Rotties! As you can see, he’s doing well. He is very affectionate and loves all the kisses.. He’s a tough little guy, he doesn’t let the Rotties push him around… But he enjoys resting his head and sleeping on them. Thank you again for producing such fantastic Bulldogs. One day with will get a little girlfriend for Trucker. We bought two Bullies from you and your wife. WE love our babies sooo much, if I could I would have even more!!! Regards: French Bulldogs,Chunks and Izzy!!. We love our bullie Bronson and still do our best to go back to see all of Jason's dawgs (Homeland Bulldogs ). We had the chance to take him over to hang with some of his aunts and some new pups. It was the first time he had seen another bullie since we had picked him up. He had so much fun playing with all of the other dawgs. 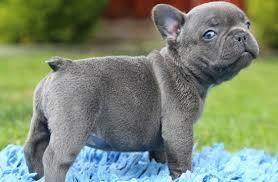 We plan on getting him another bullies playmate as soon as we can. Great people and great experience. These people truly care about their bullies.... thanks again! 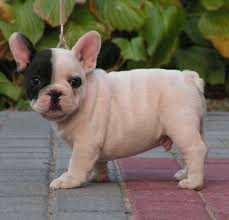 Once upon a time, in the year 2000, I met my now-husband, an French bulldog lover. For over 6 years, he dragged me to pet stores and breeders all over the east coast trying to convince me not to run, hide, or jump on his back every time I saw a dog, any dog. In March, 2010, he found Morgan Clinton at Home land Bulldogs. After a few visits with them and their pups, he convinced me to join him. As a dog-scaredy-cat, it was certainly not the puppies that triggered a change in me. Michelle held my hand as 5 or 6 cute, wonderful, adorable, cotton-ball puppies licked at my ankles; in my eyes, these monsters were no less than 300 pounds and 7 feet tall. Jason maintained eye contact with me and answered every question, including "are they going to eat me?" With my husband, Jason comforted me, coached me, trained me and encouraged me. On February 1, we will proudly celebrate Mojo’s sixth birthday; April 6 will be six years since she came home with us. 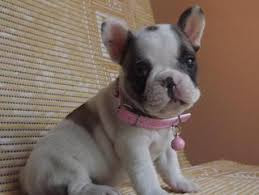 Today, I am an Homeland Bulldogs fan, French bulldog devotee, and a lover of most dogs! I volunteer at kennels, assist with Humane Society adoptions, and visit Atlantic Bulldogs kennels on a very regular basis. Mojo and I have spent thousands of hours visiting with the puppies, dogs, and people at Homeland Bulldogs. Night and day, we have watched Jason provide the constant monitoring, attention and preliminary medical care needed to nurture and develop puppies who consistently grow to be wonderful companions. And, they do it all while providing uncompromising care to their bulldogs, that they walk, feed, bathe, visit, and love all day, every day. So, as an insider, I will share one well-kept secret about Homeland Bulldogs ... Drum roll please.... Jason and others are more devoted to their dogs and pups than even they realize. I know Jason. I know their home and kennels are immaculate at all times (I have dropped by unannounced on many occasions). I know they are connected to every puppy. I know safe care is the foundation of their business. I have watched Jason feed a puppy with a dropper to make sure it’s getting enough to eat. 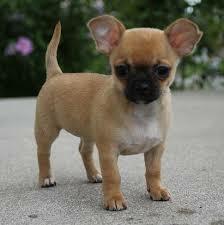 I have watched Jason obtain a puppy’s health certificate and prepare the puppy for safe travel. I have participated in the twice-daily cleaning of all pups, dogs and their living quarters. I have learned from the unconditional, personal care Jason provides to their family members and can confirm their dogs, their puppies, their staff and their customers are family members.